Head coach David Deiros of FGCU softball has announced the team’s schedule for the upcoming 2016 season. Now in their 14th season, the Eagles will total 56 games this season against 29 different opponents from 14 conferences. Last year, the team finished in the final RPI top 100 and 10 made it to the 2015 NCAA Tournament. FGCU will host 38 of its games at home, including four tournaments and three conference series. Meanwhile, road games will offer a new challenge, featuring powerhouse programs such as USC Upstate and FAU. FGCU will only leave the state twice for conference play. 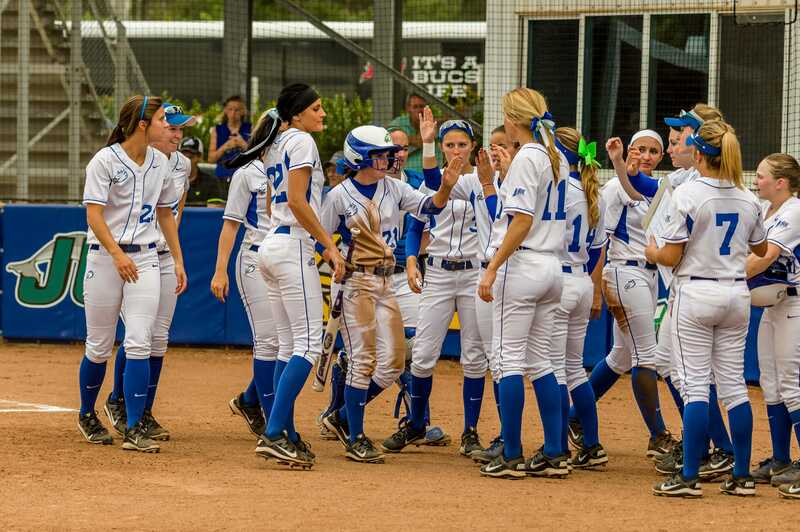 The home-heavy schedule also includes the A-Sun Championship at the FGCU Softball Complex. The six-team tournament begins May 11, with the champion crowned May 14. FGCU softball completed the first step of a three-step, improvement project earlier this year when it revealed its new players’ lounge, designed by the mother of freshman Racquel Fournet. The three-step project, expected to be completed before the beginning of the 2016 season, features a new press box and new suites along with a new video board in left field. All funding for the improvements were generously donated to the school. The 2016 season opens with a tournament, featuring Middle Tennessee State and Michigan State Feb. 12. 2016 Atlantic Sun Conference play starts Mar. 25 against the defending tournament champions USC Upstate in Spartanburg, S.C. This year’s roster features three seniors and 11-returning sophomores, making the roster younger than average. The young team also welcomes three freshman and three transfers.